Framed by the river Rienza to the east and north, southeast of Rio di Pusteria, one of the largest alpine plateaus in Europe rises: the Alpe di Rodengo – a ridge of approximately 20 km2, which reaches up to around 2,200 m. Because of its natural features, the Alpe di Rodengo is a scenic delight for active vacationers in the Isarco Valley. From the Hotel Schmiedhof in Maranza, you may reach it in just a few minutes by car. 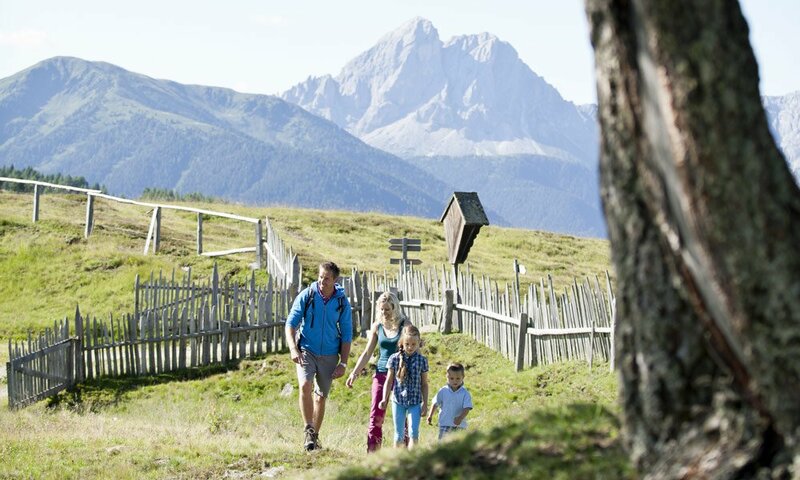 Especially hikers will appreciate the Alpe di Rodengo for its extended network of hiking trails in all levels of difficulty. Starting from the parking lots Zumis / Rodengo, Tulper-Gompis / Luson and Kreuzner / Ellen, throughout the year, you may venture out for fantastic tours – in hiking boots or on snowshoes. For example, from Zumis to the lodge Ronerhütte and Pianer Kreuz, on to the lodge Starkfeld and back. 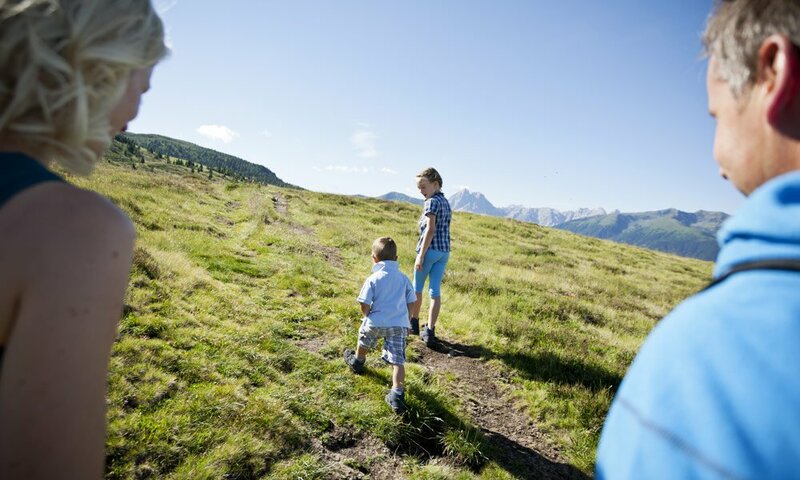 Take your entire family to the peak Cima Lasta (2,194 m) and admire the unique 360° panorama from the Zillertal Alps to the Dolomites. In lower altitudes, you may walk to the lake Tschuppwald and other mountain lakes, or through fascinating marsh landscapes. Even in the winter, the Alpe di Rodengo in an appealing destination. 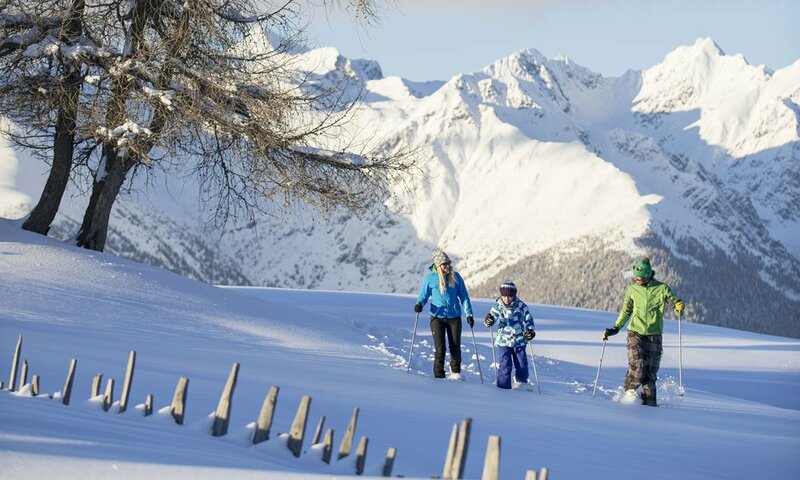 As an alternative to the ski slopes in Gitschberg Val Giovo, here you can enjoy romantic winter hikes and cross the plateau on well-groomed cross-country trails. Furthermore, several toboggan runs invite you to race back down into the valley after a long winter hike. Often the alpine huts are open until the end of April, so you may take a break in a quaint lodge.